NEW YORK (AdAge.com) — With massive layoffs expected in the banking industry and the economy in turmoil, marketers are beginning to fear that consumers of luxury goods will be snapping their wallets shut. 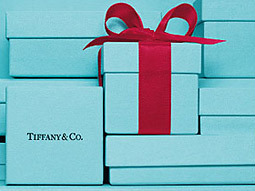 Luxury brands such as Tiffany, as well as other high-end retailers, likely will feel the pinch. With some luxury brands already starting to see a slowdown in sales, several analysts said, this latest development only stands to make matters worse. Milton Pedraza, CEO of the Luxury Institute, noted that even high-end brands have been under pressure for several months, as consumers became jittery. Brands such as Tiffany and Coach, as well as high-end retailers such as Saks Fifth Avenue, Nordstrom and Neiman Marcus, which owns Bergdorf Goodman, likely will feel the pinch. As consumers adjust to a new financial reality, so too must luxury marketers. With the U.S. economy in a tailspin, Mr. Pedraza said global luxury brands will further shift their marketing focus toward countries such as Russia, India and China. He also notes that marketing among luxury brands is beginning to focus more on function rather than status. This entry was posted on September 16, 2008 at 12:43 pm and filed under Advertising. You can follow any responses to this entry through the RSS feed. You can leave a response, or trackback from your own site.